Eyewear has gone from being a stereotyped bookworm look to a high fashion staple, and finally, a basic necessity. We wear sunglasses to protect our eyes from ultraviolet (UV) rays and radiation, but they’re also really fun to mix and match with our outfits, especially in the summer. If you’re looking for eye-catching sunglasses for sale in the Philippines to incorporate in your beach wear or house summer party get-ups, then look no further. Here’s your ultimate guide to the trendiest eyewear looks we’ve curated for the sunny days ahead. 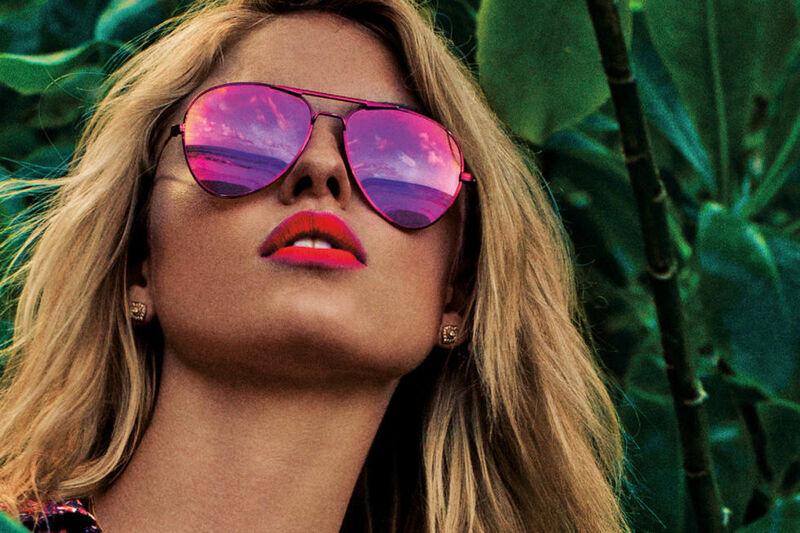 One of the biggest trends in eyewear fashion this year is the mirrored sunglasses. Approved by fashion mavens all over the world, these eye-catching reflectors add a bold statement to any look. Further, these mirrored lenses can be seen on a wide variety of classic and modern frame styles—from aviators to wayfarers to retro-wingtips—adding a cool 80s-90s look to any design. Mirrored sunglasses can be monochromatic, oil-slick, or colorful—all of which are youthful, bright, and perfect for the summer season. Ray-Ban Round Gradient Flash Lens (for men and women). Oversized sunglasses were trendy in the last couple of years, and designers are not removing these extra-large pieces from their collections anytime soon. These oversized sunglasses are ideal for super hot summer days and just about any season this year when the sun is out. Get this look with the Emporio Armani EA4026 (for women) and the Ray-Ban Icons (for men). Thin rims made of metal wire made their way into the fashion scene last year, and they’re here to stay for 2017’s eyewear trends list. Whether you wear them with tinted lenses or mirrored ones, these metal frames will add some classy elegance to your summer look. Get this look with the Ray-Ban Aviator Gradient Flash Lens (for men and women). Perfect circles lenses add a stylish dimension to summer looks. Appearing on frames of any thickness, round sunglasses for 2017 are to come in either super dark lenses or mirrored tones. This bug-eyed look was often seen in simpler designs in the past, but this year, fun-detailed ones are also super trendy. Get this look with the Ray-Ban Youngster (for men) and the Ray-Ban Round Gradient Flash Lens (for men and women). While tinted lenses are great for reducing brightness, they don’t help with a harsh glare like polarized sunglasses. Polarized lenses are not just trendy, but are also extra helpful now that we’re getting hotter days than usual. With advanced lens tech, polarized sunglasses can eliminate glare, reduce eyestrain, and even increase visual clarity and contrast. These particular lenses are available in a wide variety of fashionable frames including your favorite wayfarers, aviators, and clubmasters. Get this look with the Ray-Ban Clubmaster (for men and women). Sported by models walking the runways and the everyday fashionista, classic sunglasses will always be a top trend—summer 2017, included. From aviators and wayfarers to cat-eye frames, these vintage styles with modernized looks can be seen in overly big or small frames, in light and dark lenses, in plain or animal print, half or full rims. Add a pair of classic sunglasses to your summer repertoire and hop on the eyewear trend tha has taken over New York, Milan, London, and Paris. Get the look with the Ray-Ban Aviator Classic (for men and women). Aside from yellow-orange hues, blue lenses are also among the 2017 summer eyewear trends! Matching the color of the ocean, blue-tinted sunglasses—whether mirrored or translucent—are all the rave on the runway this year and would surely bring an aquatic look to your summer outfits. Get the look with the Ray-Ban Icons RB6020/17 (for men and women). Make a statement with your eyewear this summer! Buy sunglasses for sale in the Philippines from Vision Express today and hit the beach in a fashionable way!